FRESH WATER ONLYSHOW PIECE!!! NOT AN OPTION MISSING !!! 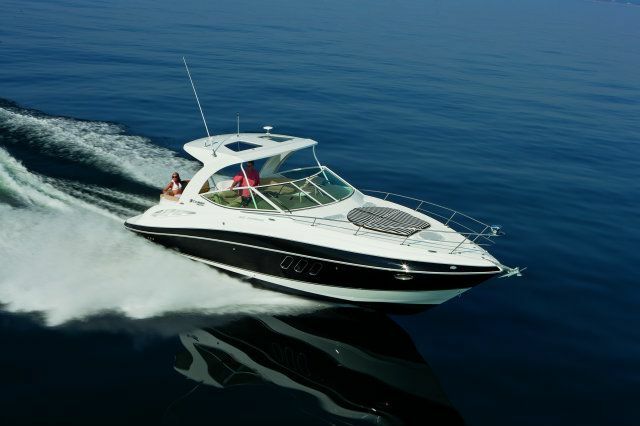 She is powered by twin Volvo8.1 GXiInboard engines that are unstoppable through the waters. 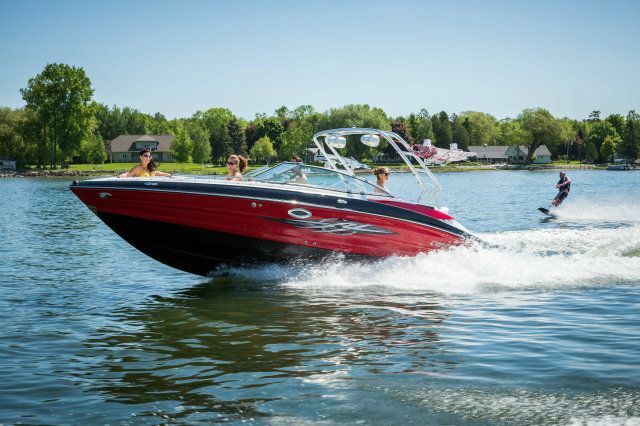 It has a combination of everything you and your guests need to enjoy life on the water, whether it be fishing, diving, or just relaxing and enjoying your time on the water. This 41? 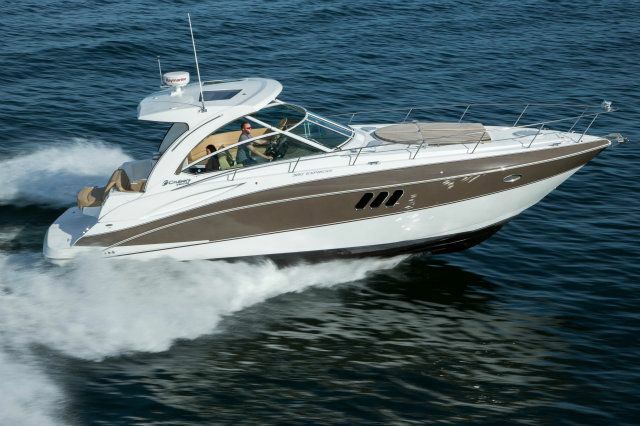 Cruisers 405 Motor Yacht can accommodate and pretty much cater to any of your needs. She is also accommodated with two spacious staterooms equipped with queen size berths, head and shower. The master stateroom is equipped with separate rooms for head and shower. 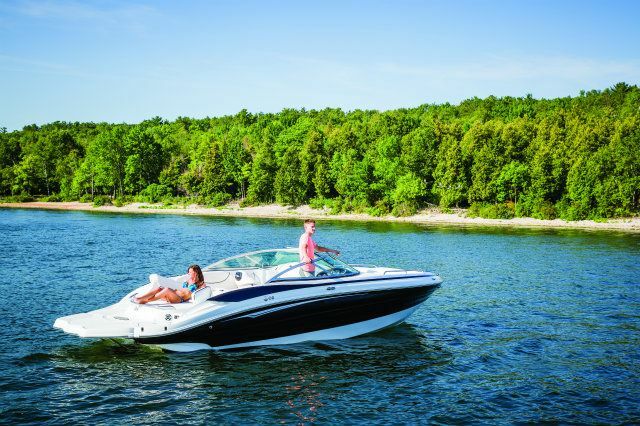 This boat is in excellent condition and is maintained year round. 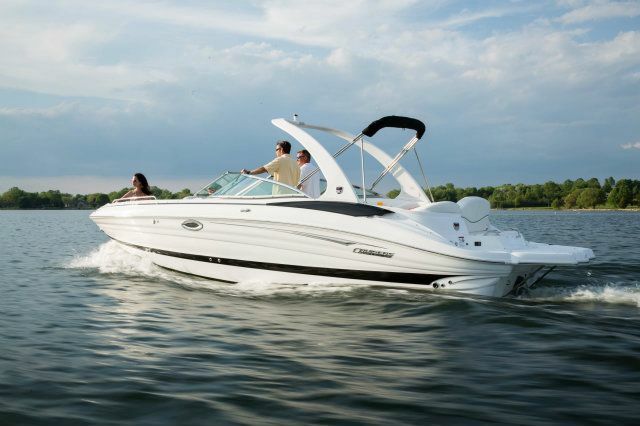 You and your guests will enjoy all of the interior and exterior lounging areas this boat has to offer. This 41? 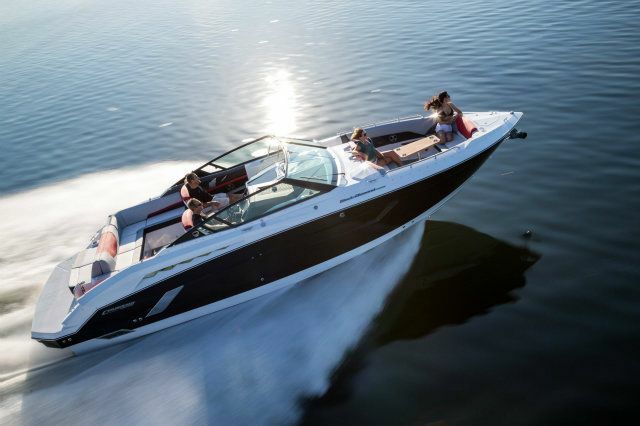 Cruisers 405 Express motor yacht provides everything you need to ride with style and class. Here is your chance to get an enjoyably beautiful command bridge motor yacht at a Great Price. Cockpit Air/Heat Integrated full width swim platform with drained storage. Fiberglass transom steps allow for safe access to aft deck and bridge. 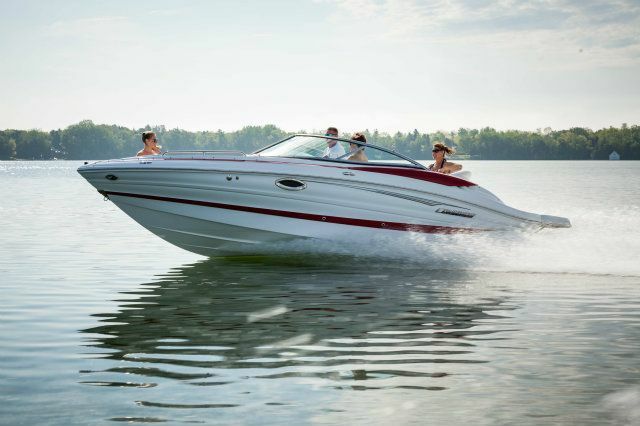 Designed-in air deflectors greatly reduce the inherent "station wagon effect" associated with aft cabin boats. 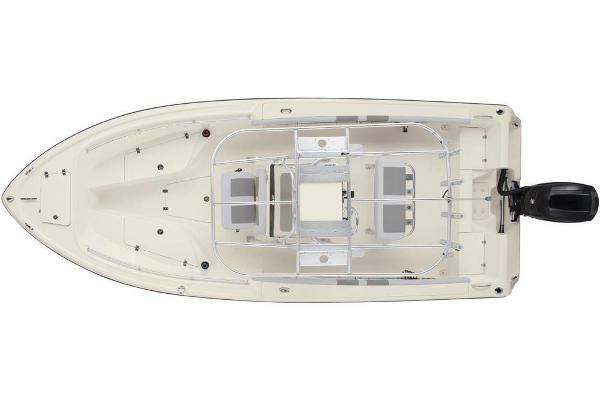 This design feature significantly minimizes exhaust, carbon monoxide and spray from coming back into the cockpit and makes for a safer & more enjoyable time on the water. Cockpit wet bar with standard refrigerator/ice maker. Generous aft deck seating with two tables and storage. Double helm seat with flip up bolster. Standard full fiberglass hardtop with wing doors. Full fiberglass cabin liners - forward and aft of engine compartment. Salon, dinette and galley are all on one convenient level with no steps. Abundant windows allow for excellent lighting. Visibility and ventilation. U-shaped galley with generous storage. Standard cherry interior with solid cherry dinette table. Forward stateroom offers large double berth. Queen-size Island berth with access from both sides featured in master stateroom. Private master head with large separate shower stall. The Cruisers 415 is a Two-Stateroom Two-Head design with a large salon and U-Shaped Galley. The Forward VIP Stateroom has a privacy bulkhead and door. Features here include an Island Queen Berth, separate Head and Shower compartments along with beautiful Cherry Cabinetry and Hanging Lockers. The Forward Head also serves the Salon and has a privacy entrance door from the VIP. The Master Aft Stateroom is quite spacious, is centered around an Island Queen Berth and is appointed with the same Cherry Cabinetry including ample storage and a large Hanging Locker. The Master Head is to starboard and features a private Stall Shower and tile flooring. The Salon and Galley areas are quite comfortable. An L-Shaped Flexsteel Sofa with Incliners is to port, a large Booth Shaped Dinette is to starboard. The Galley is also to starboard, aft of the Dinette. The Salon, Dinette, and Galley are all on one convenient level, no steps!